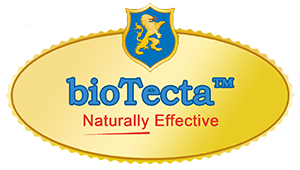 bioTecta™ is a line of natural food safety products with antimicrobial activity to eliminate pathogenic bacteria and extend shelf life in fresh, frozen and cooked meat, poultry, seafood and other food products. These all-natural antimicrobials cultured from the Allium family of plants offer flexibility in RTE intervention programs. bioTecta™ reduces/eliminates initial spoilage and controls pathogens to improve product safety and extend shelf life without affecting the tangible aspects of foods. Use bioTecta™ with beef, pork, poultry, fish, seafood, deli entrées, RTE salads, sauces and various food applications where microbial control and shelf life are a concern.